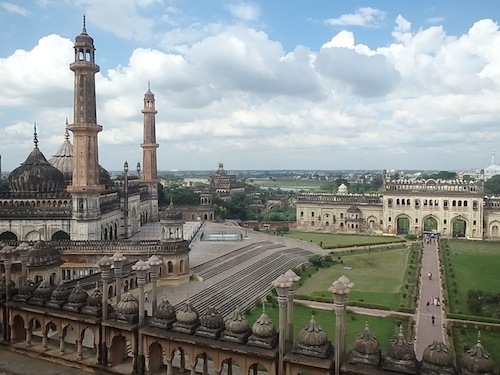 Lucknow is a classic former British Raj colonial city in northern India. 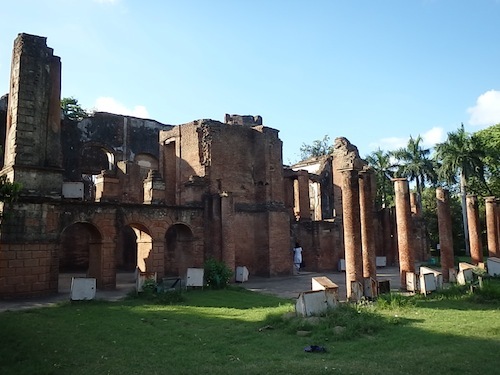 It was the home a large British contingent and famously played an important part in the 1857 Indian uprising. Driving into town along its wide, well maintained streets it was easy to think that I wasn’t in India at all. Apart of the incessant honking and constant battles for position on the road, of course. There was a different feel to this place. A little more relaxed, a little more refined, and dear I say it a little more sophisticated. Vivek and I arrived at Biren Thapar’s house around 1.30pm just in time for the televised speech of Narendra Modi’s (head of the opposition party BJP) big speech in Delhi. It’s election time in India and the build up to next April/May’s election is in full swing already. Biren or Thaps as he was happy to be called immediately welcomed us into his house with beers and food. Always a great way to start the meeting process with a new friend. 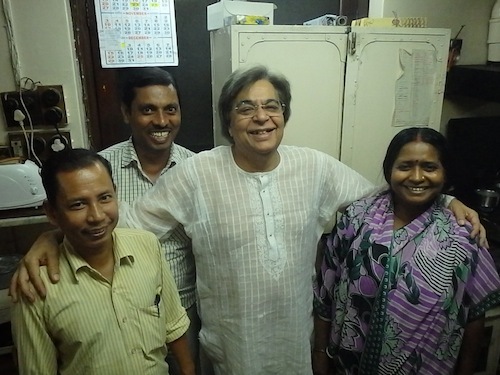 Vivek and I meet Thaps’ support staff (pretty much family unit); Netram (grounds), Vinod (driver), Anju (cook). There were a happy, cheery bunch, and there was a lot of laughter in the kitchen where we all hung out. We all settled in and watched the speech and then Thaps gave me a tour of this place. 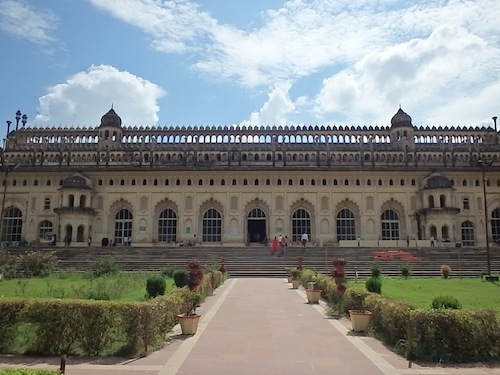 He had a third of a massive mansion situated in the middle of Lucknow. Formerly a British military officers mansion, he occupied one-third and his cousins the other two-thirds. With pleasantries out of the way I settled in and relaxed after the drive. 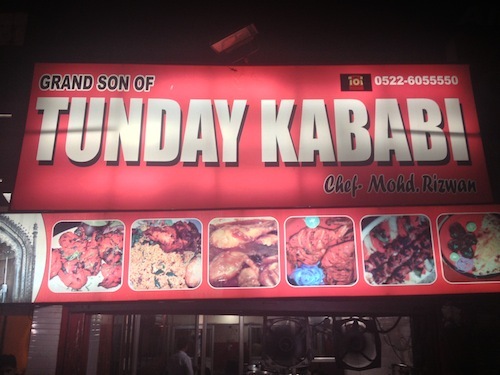 That evening Vinod took me to get some of the finest local kebabs just off Rani Lakshmibai Marg and a stop at the famous Hindi Tunday Kebab shop. It was a fun little excursion and my first introduction to nightlife in Lucknow. The following day was spent relaxing and chatting with Thaps before Vinod and I headed into town on the motorbike for a spin around town. 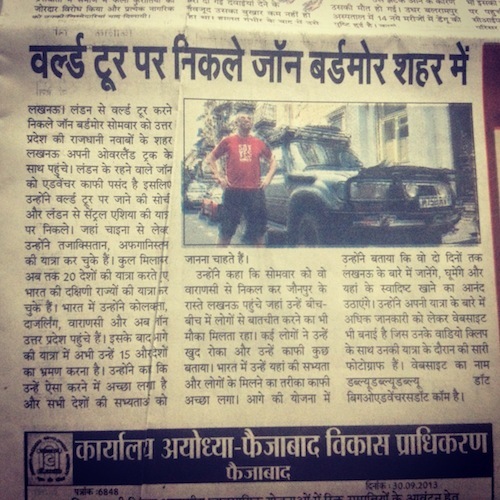 That evening I did my first hindi newspaper interview with the Jansandeshtimes.com. The next stop on the tour was the Chowk bazaar to try the Muslim Tunday kebab. Tunday kebabs are famous across India. The father who started it only had one arm. His son’s then took over the franchise. One creating a Hindu franchise (without meat) and the other a Muslim (with meat) franchise. They were both delicious. At home I had the chance to chat with Thaps and learn a little about him before dinner time. Thaps is little eccentric (which I like) but very knowledgable and interesting fellow. 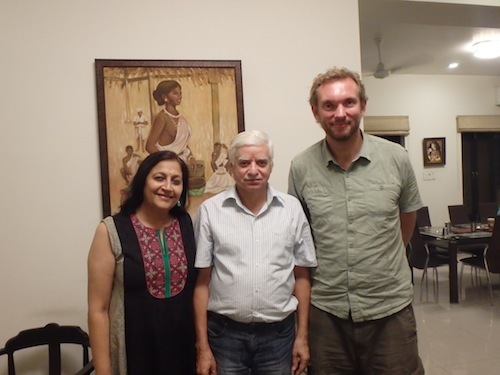 A fascinating person to chat with and a very liberal Hindu. 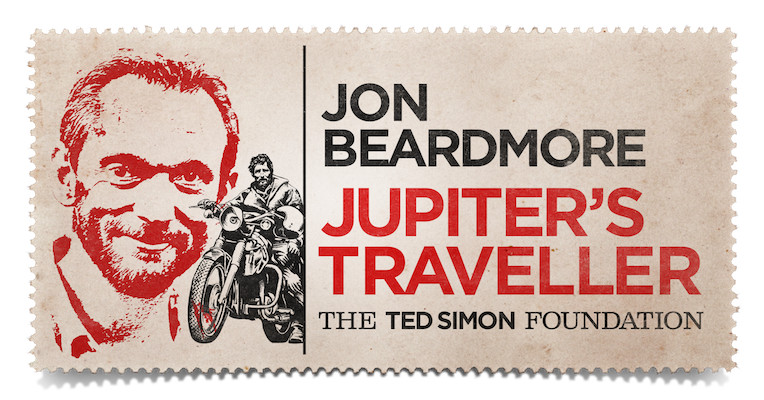 He’s had colourful life working for Dunlop, the British company, and owning a restaurant in Goa for 14 years before settling back in Lucknow. 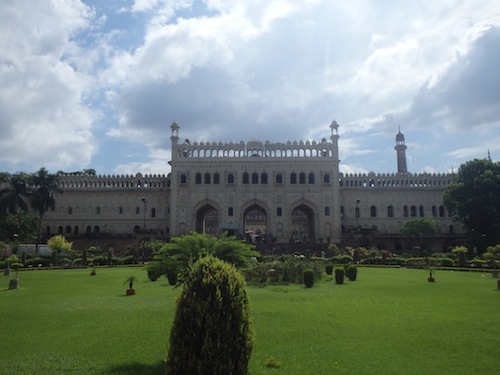 A visit to Babi Imambara is a must for any visit to Lucknow. The buildings were quite spectacular and provided great views out over the city. Also on the destination list was The Residency. 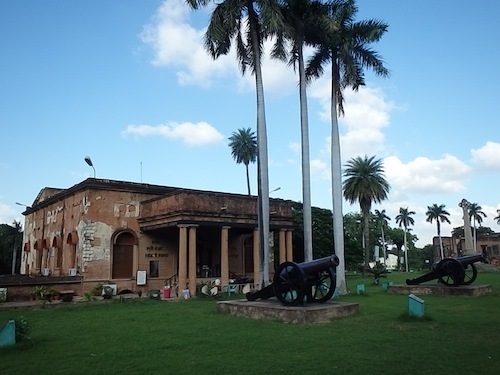 This was the place where the British military and their families defended themselves against the attacks of the Indian forces in the 1857 uprising. It was a classic British residency. Wide paths, beautiful buildings, and open grassy spaces. While I here I met Mohd Shaan. The young fella came up to me and asked me to film him singing. So I did. He had apparently made the 5th round of Indian Idol. I have to say he was pretty damn good. Check him out. I spent the rest of the afternoon walking home. 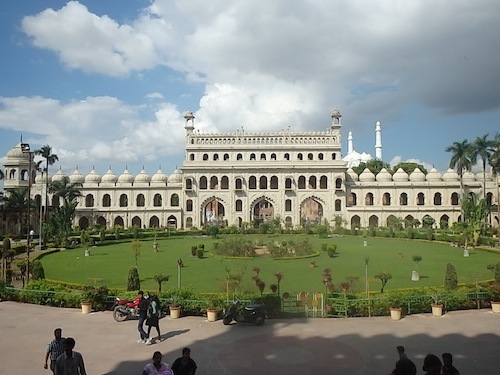 Lucknow is a relaxing city with great architecture and food. At this time of year it had a cool refreshing breeze so it was not too hot. It was a perfect time to visit. That evening I said farewell to Thaps and his little family. He was a wonderful host, engaging to chat too and a great laugh. I wish I could have stayed longer. Alas I also had the parents of my good friend Sasha Kapoor in Lucknow, so a visit to stay with them was a must also. 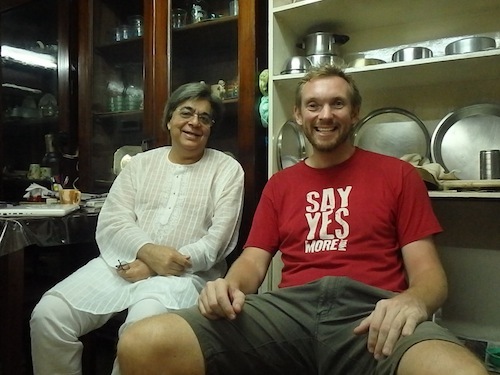 Rajiv and Poonam welcomed me into their home like a long lost son. I was made to feeling like I was home and immediately feed before a relaxing evening in. The next day was a national holiday (there seems to be one every week). 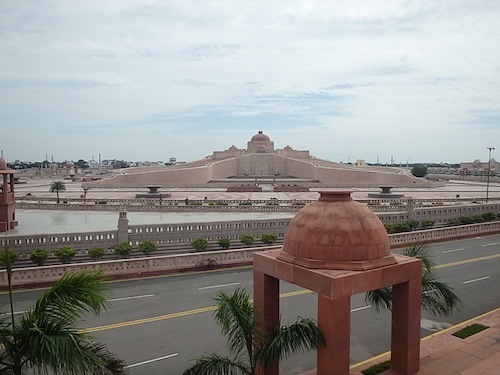 Rajiv took me for a drive around Lucknow before lunch. I met a few members of the family at lunch then the lads had a nap afterwards. That evening we watched my first Bollywood film. Watching Indian drama shows crack me up. The acting is so one dimensional at times. To make it as an actor all you need to master is a long distance stare with a frown and furrowed eyebrows. Then get angry and curse the person who has brought disrespect to your family every second scene. It’s very funny. My stay with a Kapoor’s was short and sweet but nevertheless a wonder stop. 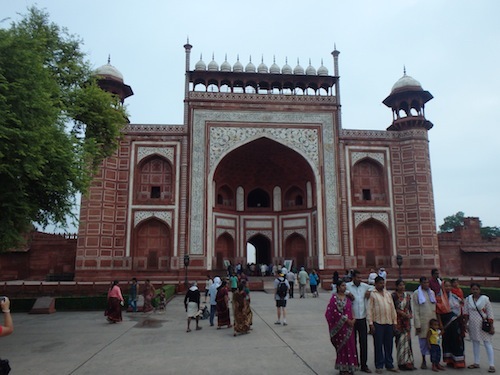 Agra needs little introduction and is a place that almost everybody pays a visit to in India. 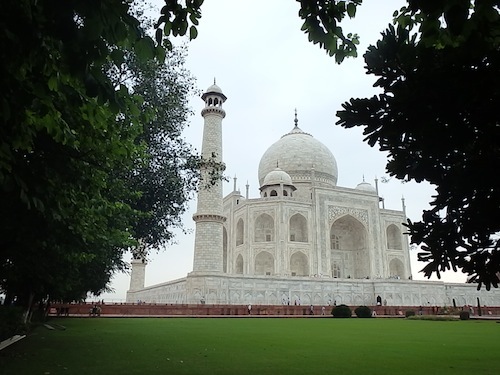 The call of the Taj Mahal is hard to resist and I was not one to miss it. 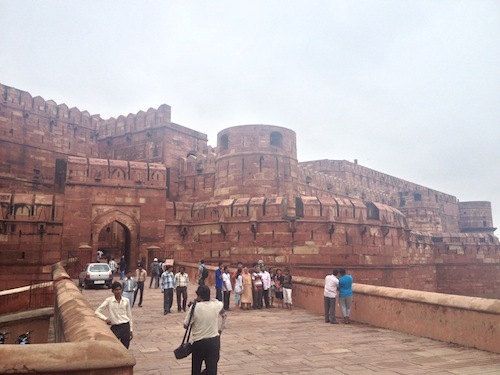 Agra itself is a bustling, busy tourist town. Remove the famous sites though and there is nothing remarkable about it. 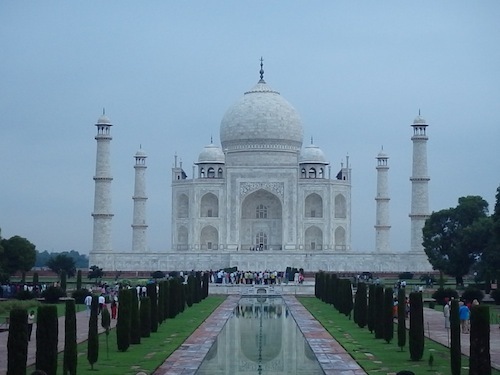 But how remarkable these famous sites are!! 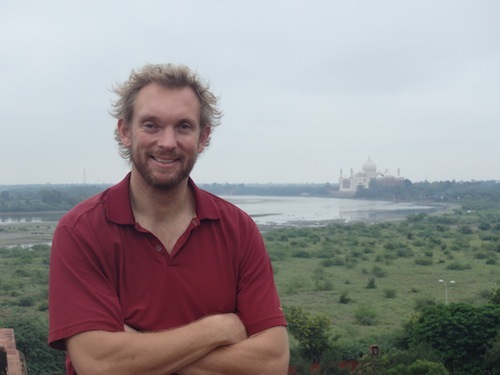 My first attempt to see the Taj failed spectacularly. It was Friday which is the day everything is closed. Attempting to drive to the site proved a waste of time. Take my advice and just get an auto!! 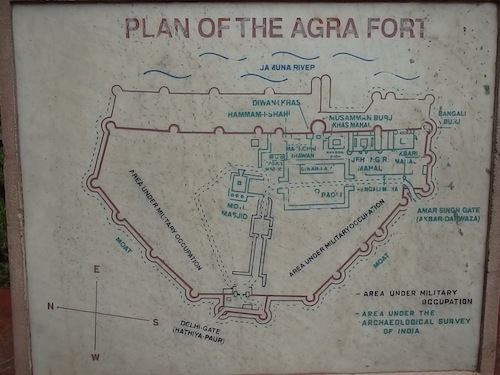 So I went to see the Red Fort of Agra. The fort was very impressive. 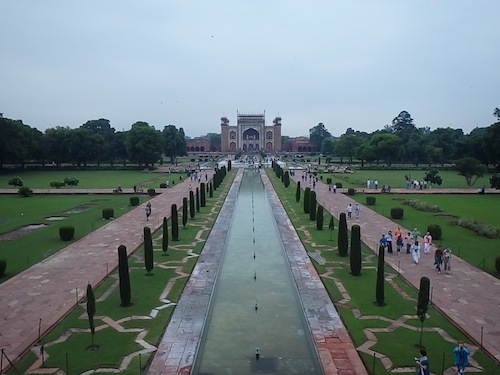 Many Mughal emperors ruled from the fort over the period of their empire. Red with white marble buildings on the inside. It was in fantastic condition and great wander around its beautiful surrounds. A 5am start followed to make it to the Taj Mahal for sunrise. And boy was it worth it. After a bit of a palaver getting in. Had to go to the locker twice to put my tripod and camcorder away! I was in by 6.20 though. Straight in, through the entrance into the main gardens. It’s a spectacular entrance to a grand architectural masterpiece. I wandered round with the multitudes of tourists. The detail designed into the building is impressive. You can see why it took so long to build. On queue the sun came out at 8am to shine on the white marble and provide the building with a wonderful glow. 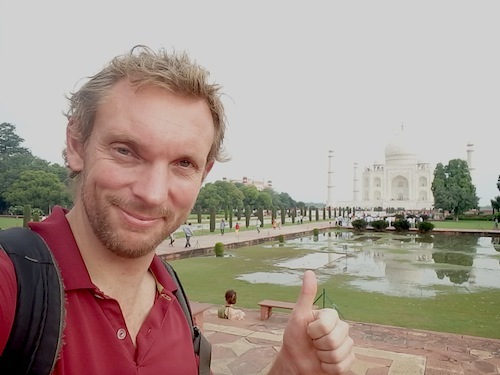 With the Taj Mahal and Red Fort ticked off it was time to head for Delhi and a big week of entertainment in the big city. I had a number of exciting events on the cards. It promised to be an unforgettable week. 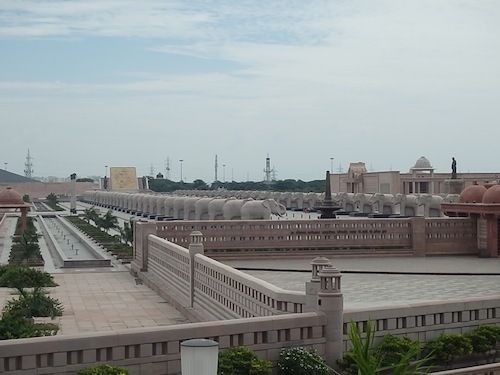 The total cost has been estimated to be about 32 million Rupees at that time. A labour force of twenty thousand workers was recruited across northern India. 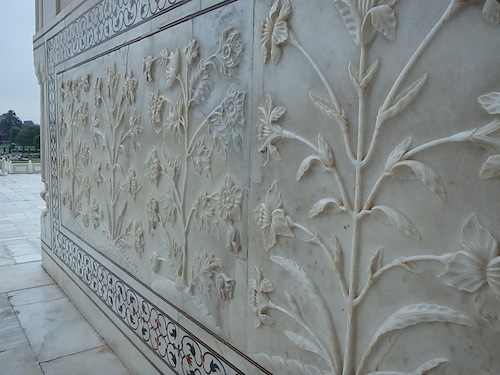 Sculptors from Bukhara, calligraphers from Syria and Persia, inlayers from southern India, stonecutters from Baluchistan, a specialist in building turrets, another who carved only marble flowers were part of the thirty-seven men who formed the creative unit. Thanks for all your comments Thaps. You have provided a great many insights to India that I’ve enjoyed reading and so have others. Take care.